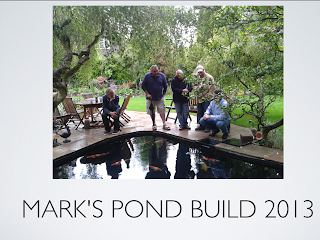 Kangei koi club member Mark Hobden has been heavily involved in the hobby over the past few months, with the undertaking of his most recent pond build. Mark was kind enough to give a presentation to the club at Septembers meeting, and at short notice! 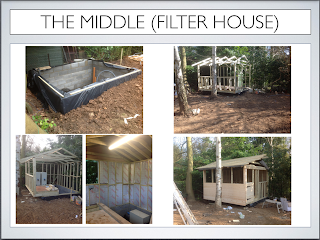 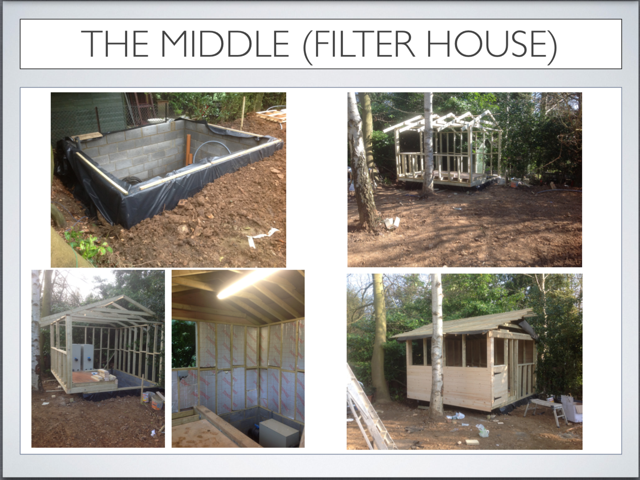 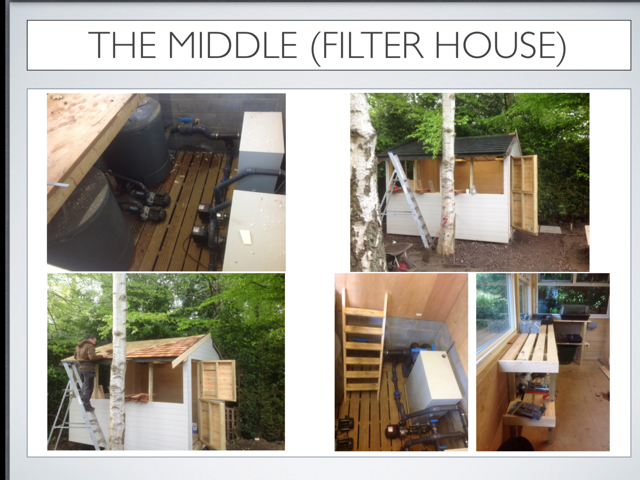 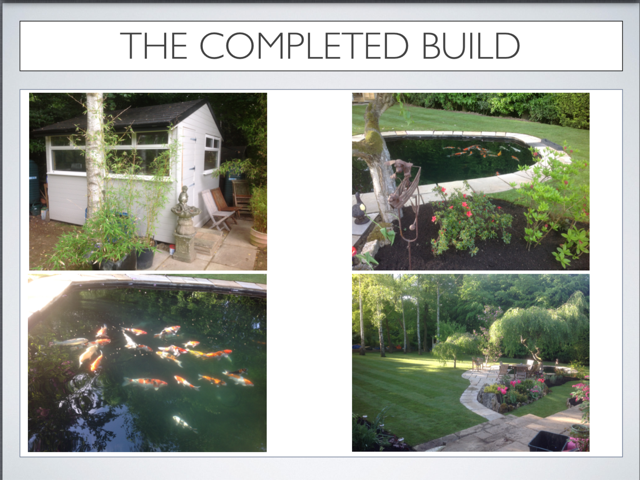 It was very interesting to see how he went about the build, with great results. 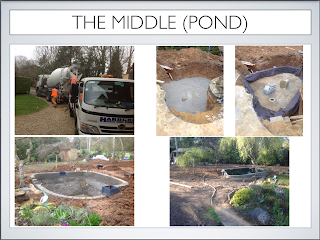 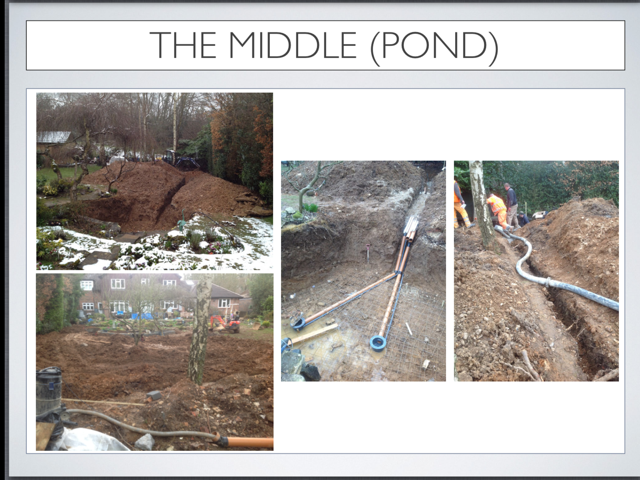 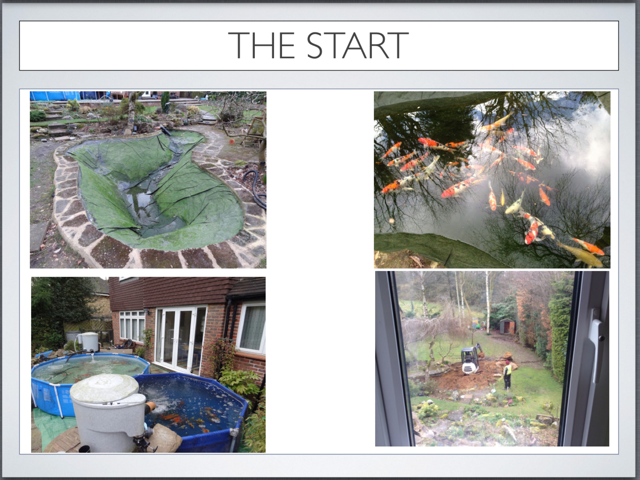 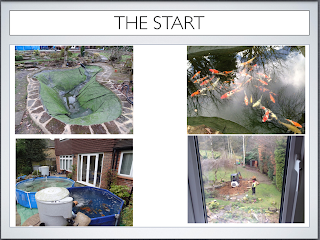 Having seen the pond and garden during the benching of his koi during our recent garden show, its a fantastic build, with great attention to detail, with some very good quality koi, and looking at the garden now, you'd never believe how it looked just a few months ago. 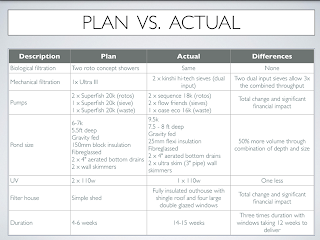 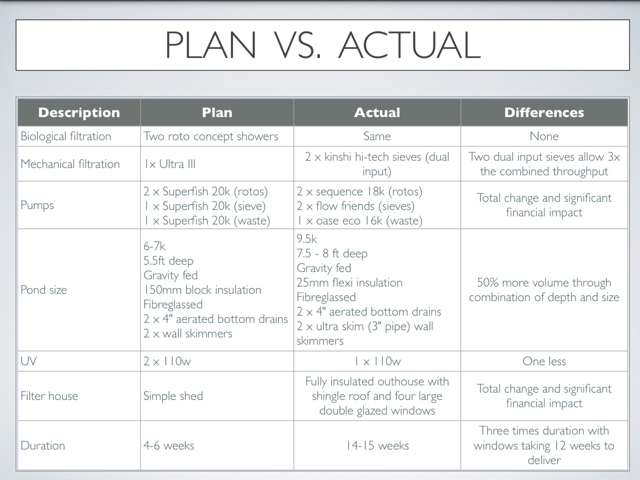 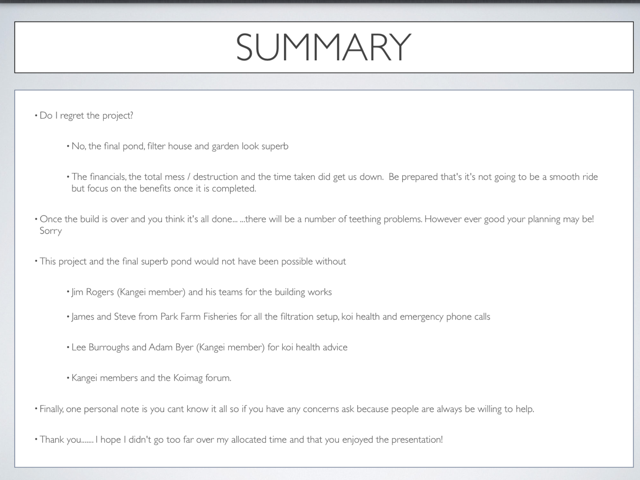 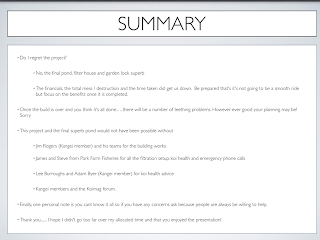 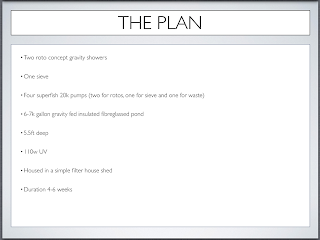 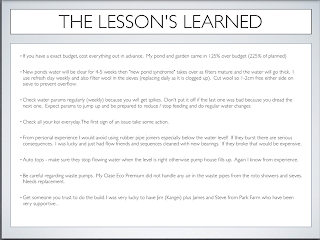 Below is the presentation Mark gave, a very honest blog of the highs and lows, enjoy.